Most recipes in this book are without yeast, cow's milk, dairy products and sugar. There are a few exceptions to the rule, however, in cases when the final result is improved by adding a little butter or cultured dairy products. In these recipes, we've always included suggestions for alternative ingredients. 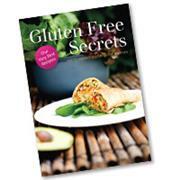 In the back of the book, you will also find recipes for egg substitute and homemade almond milk."